In many other programming languages, there is a particular command for declaring any kind of variable but this is not the case with Python as there is no specific command for declaring a variable in this programming language. In Python, any kind of variable is created in the exact moment where you as a developer actually assign a certain first value to it. One Python variables example is mentioned below. It is also important for you to remember that in this programming language, variables are not particularly assigned with any kind of variable type. This is because of the fact that the variables in this programming language can change their different types even after they have been previously assigned a particular type or value. There is a number of different Python variables types. And the names of the different kinds of variables in Python can either be short like x, y, and z or they can also be more descriptive in nature like age, total_volume, or car name. However, there are certain rules that an individual needs to follow while assigning any kind of variable name type. And those certain rules that an individual has to follow are mentioned below. It is also important for you to remember that you cannot start any kind of variable name with a number or a numeric character. This is one of the important things that you need to learn on the subject of Python add variables. These are all the major rules that you as a developer need to remember while assigning a name to any kind of variable. You should always remember that all variable names are case-sensitive. If you wish to add some kind of variable to another variable then it is important for you to remember that you can use the + character for this particular function too. The character of + can also function simply as a mathematical operator in Python. However, you should always remember that if you try to any kind of a number and a string then Python will always give you an error in such a scenario. 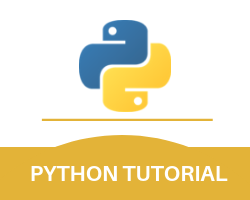 This is all you need to know about the variables part of the Python programming language that you need to learn to satisfy your knowledge on the subject of Python declare variable.